This mode is designated as special instrument for medical treatment to asthma, cough and other diseases on upper-lower respiratory tract by spraying medical liquid for inhalant. Adoption to Japan-imported alloy component for mist generation by ultrasonic technology, it can achieve steady and high efficient misting with drop particle diameter less than 3μm. 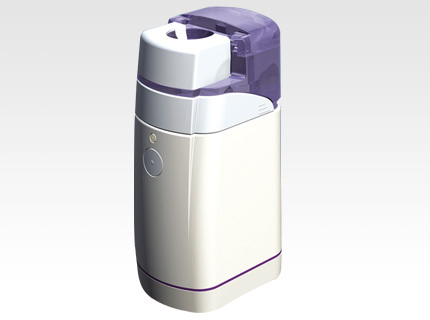 This medical sprayer grasped easily by your hand, small size and weight 260g, can be carried along your movement conveniently.